Trevon Jenifer (two-time Paralympian) and Will Waller (four-time Paralympian), also members of the National Wheelchair Basketball Association, echoed the same feelings as Serio. Waller, who sustained a spinal cord injury after being a victim of an inner city shooting in 1992, elaborated on his version of the experience. Along with the U.S. Paralympians, quadriplegic individuals – Ethan Thompson and Jake Walter -- also took part in the ride along and drive. Dr. Scott Falci, a Denver-based neurosurgeon, who founded Falci Adaptive Motorsports, said he was excited about how the event turned out and looked forward to the future with more technology for the mobility-challenged. Three-time NWES champion Ander Vilarino (#48 Racing Engineering Ford Mustang) and his teammate, NASCAR Gander Outdoors Truck Series 2018 Rookie of the Year Myatt Snider (#48 Racing Engineering Ford Mustang), topped the charts in the opening practice sessions of the 2019 NASCAR Whelen Euro Series. The duo’s performance marked a perfect debut for the Racing Engineering team in the European NASCAR Series at the Circuit Ricardo Tormo in Valencia, Spain. In the ELITE 1 Division, Vilarino lapped the 4-km long track in 1:40.629, edging defending NWES champion Alon Day (#54 CAAL Racing Chevrolet SS) by 0.268 seconds. Loris Hezemans (#50 Hendriks Motorsport Ford Mustang) was third with a gap of 0.622 seconds. Returning driver Nicolò Rocca (#24 PK Carsport Chevrolet Camaro) and his PK Carsport teammate Stienes Longin (#11 PK Carsport Chevrolet Camaro) closed the top-5. Alex Sedgwick (#90 Braxx Racing Chevrolet Camaro) was sixth ahead of last year’s championship runner-up Frederic Gabillon (#3 RDV Competition Chevrolet SS), Romain Iannetta (#88 Racing Engineering Ford Mustang), Alexander Graff (#77 Memphis Racing Chevrolet Camaro) and Francesco Sini (#12 Solaris Motorsport Chevrolet Camaro). A rookie in the European NASCAR Series, Myatt Snider laid down a 1:42.079 lap which put him ahead of NWES veteran Bert Longin (#11 PK Carsport Chevrolet Camaro) by 0.497 seconds. Last year’s ELITE 2 Division runner-up Florian Venturi (#32 Go Fas Racing Chevrolet Camaro) ended up third ahead of rookie Giorgio Maggi (#50 Hendriks Motorsport Ford Mustang) and returning Eric De Doncker (#98 Motorsport 98 Ford Mustang). Rookie Andre Castro (#24 PK Carsport Chevrolet Camaro) drove his PK Carsport Chevy to sixth place ahead of Nicholas Risitano (#8 Racers Motorsport Chevrolet Camaro), Vittorio Ghirelli (#9 Racers Motorsport Ford Mustang), Freddie Hemborg (#77 Memphis Racing Chevrolet Camaro) and NWES veteran Martin Doubek (#7 Hendriks Motorsport Ford Mustang). The NASCAR Whelen Euro Series will hit the track again on Saturday starting with qualifying at 9:50 CEST, While the first ELITE 1 race of the season will take place at 13:15 CEST and ELITE 2 Division will open the 2019 championship at 16:45 CEST. All races will be streamed live on Fanschoice.tv, the NWES Youtube channel and Facebook page, Motorsport.tv and on a vast network of websites and social media profiles. For eighteen-year-old Christian Eckes (No. 15 JBL Audio Toyota), his first two seasons in the ARCA Menards Series were fraught with frustration. Coming to the ARCA after a brief but successful career in super late models, Eckes expected to find similar success in the heavier, full-bodied ARCA machinery. An eighth-place finish in his debut at Nashville in 2016 was his only top-ten run in a limited four-race inaugural season. Eckes found success in late models that year, winning the famed Snowball Derby and the Myrtle Beach 400. Coming off two major wins, Eckes came back to ARCA for a busier schedule in 2017. In ten starts, Eckes finished in the top ten nine times and was in the top five in four of those starts. But victory lane eluded him. Even though that first victory hadn’t come, Eckes and his Venturini Motorsports team were building the foundation for success. With a solid foundation built in limited runs in 2016 and 2017, Eckes scored his first career ARCA Menards Series win at Salem Speedway in April of 2018 by holding off a furious charge from his Venturini Motorsports teammate Chandler Smith over the final 50 laps. The win gave Eckes added confidence, and despite four finishes outside the top ten in the next six starts, Eckes found victory lane again on the one-mile dirt track at Springfield. From there, Eckes closed the season with a dominant win from the pole in the final short track race of the season at Lucas Oil Raceway. Not yet 18, and therefore not eligible to compete on tracks longer than one mile, Eckes was back for another partial season in 2018. A total of 13 starts were on the docket, and he again started with another eighth-place run at Nashville. Eckes, now eligible to race on all tracks, returns to the ARCA Menards Series in 2019 for his first full season. He started the year off with a fourth-place finish at Daytona after winning the General Tire Pole Award in qualifying. He followed that with a third-place finish in the season’s first short track race at Five Flags Speedway. Two races in to the season, Eckes leads the series championship standings for the first time in his career and he’s heading back to Salem, where he earned that elusive first career win just one year ago. Eckes and the rest of the ARCA Menards Series return to action in the Kentuckiana Ford Dealers ARCA 200 at Salem on Sunday, April 14. Practice is set for 11 am ET on Saturday, April 13 with General Tire Pole Qualifying scheduled for 3 pm ET that afternoon. The green flag for round three of the 2019 ARCA Menards Series season will drop shortly after 2 pm ET on Sunday. The race will be televised live on MAVTV and ARCA for Me members can access live timing & scoring, live chat, and live track updates at ARCARacing.com. New members can register for free at ARCARacing.com/login. Charlotte-area students and their families will get an exclusive look at high-tech, in-demand careers as automotive, diesel, collision repair and welding technicians as part of a Technicians and Technology Career Expo & Open House on Wednesday, April 17. The open house is hosted by Universal Technical Institute's Mooresville campus, NASCAR Technical Institute (NASCAR Tech). Centered around the theme of "Technicians and Technology," this event will showcase the high-tech, sophisticated and STEM-based nature of today's transportation industry and workforce. "Many people are unaware of the high-tech and computer-driven nature of transportation careers, and the advanced set of technical skills it takes work on today's vehicles," said Jennifer Bergeron, campus president at NASCAR Technical Institute. "These are not the wrench-wielding mechanic jobs we used to know. Technicians today are more like digital diagnosticians, and actually spend more time in front of a laptop than they do under the hood. This Open House is a great opportunity for people considering a UTI education to tour our state-of-the-industry labs, meet with employers and get a firsthand look at what it means to be a transportation technician today." Attendees will tour NASCAR Tech's state-of the-industry labs and experience live demonstrations such as engine power and performance, virtual welding, interactive STEM activities and more, as well as learn how UTI's advanced courses are aligned with manufacturers' products and specifications. Premier employers from Roush Yates Manufacturing Solutions and Crown Equipment Corporation will be on-site and available to discuss tuition reimbursement plans and hiring incentives. Demand for trained technicians is high. The U.S. Department of Labor projects that, by 2026, there will be more than 1.2 million job openings nationally across the automotive, diesel and collision repair industries. 1 To accommodate this demand, the transportation industry will need to fill - on average - 120,000 positions each year. As part of the Technicians and Technology Career Expo & Open House, attendees will learn how they can be trained to help fill these jobs in as little as 11 months. Rising star Chandler Smith will grab the wheel of his Venturini Motorsports’ No.20 Craftsman/828 Logistics Toyota on Sunday (April 14) when the ARCA Menards Series returns to historic Salem Speedway for the annual spring Kentuckian Ford Dealers ARCA 200. Winning last year’s fall race at Salem Speedway nearly wire-to-wire, Smith, 16, now takes aim at repeating his dominant performance on the famed southern Indiana high-banked, half-mile. Developing a reputation as a short track ace, Smith has impressed onlookers throughout his brief ARCA career. Since making his series debut with VMS last season, the Georgia native has consistently shown speed during each of his 10 ARCA starts. Already a two-time series winner, Smith has led over 800-laps during his brief time on tour. With seven top-5 finishes supporting his 4.3 average finish, he’s yet to finish outside the top-10. Out of the gate Smith made his presence known setting a modern era record by starting from the pole in each of his first four series appearances – adding a fifth General Tire pole award last month in his first start of the 2019 season at Pensacola. Practice for the Kentuckiana Ford Dealers ARCA 200 is set for 11 am ET on Saturday, April 13 with General Tire Pole Qualifying scheduled for 3 pm ET that afternoon. The green flag on round three of the 2019 ARCA Menards Series season will drop shortly after 2 pm ET on Sunday, April 14. The race will be televised live on MAVTV. After a relaxing time at the river with his wife Tailor last weekend, USAC/CRA and Southwest Series point leader Brody Roa begins a busy stretch of the season this Saturday night at Perris Auto Speedway. All told, the veteran driver will be racing his #91R sprint car nine straight Saturday nights through June 8th. The nine races will be contested on six different tracks. Three of the races will be in Roa’s home state of California and three will be in Arizona. The four races in California will be USAC/CRA events and the five in Arizona will be in the USAC Southwest Series. Roa heads into Saturday’s race on a roll. Two weeks ago, in front of a packed house, the 28-year-old scored a hard-earned, convincing win at Perris. The victory allowed Roa to extend his advantage to 14-points in the championship standings heading into this Saturday’s race. Saturday’s event at the famous Riverside County clay oval will be the “Sokola Shootout” and will honor past CRA car owner and president Gary Sokola and his son Mark. Gary Sokola had a long history with the Roa family as his car’s competed against Roa’s cousin Tom Roa Jr. In addition, the senior Sokola was also named president of the CRA when Tom and Brody’s father Brett raced in that series. After Saturday’s battle at the base of the Lake Perris Dam, Roa and crew will spend the following two weekends in Arizona at the Arizona Speedway and Canyon Speedway Park as they try to maintain their lofty position at the top of the season-long Southwest Series title chase. Going into the first Arizona race on April 20th, the Garden Grove, California driver has one second-place finish and two third-place outings in the series first three races. He will head into the first of the back-to-back weekends in the Copper State with a 12-point lead in the standings. Colorful Brody Roa hoodies are available through this Sunday, April 14th. If you would like to order one (the design is below) please use the following link https://www.brodyroa.com/?post_type=product. Team t-shirts will go on sale Monday. Fans who would like to see Roa in action this week can find Perris Auto Speedway at 18700 Lake Perris Drive in Perris (92571). The Spectator gates will open at 5:00 P.M. and the first race is at 7:00. The track website is http://perrisautospeedway.com/ and the office phone number is (951) 940-0134. Roa fans from out of town can see all the action live or on demand at https://www.floracing.com/ (subscription required). Car owners, if you are looking for someone to shoe your car during the 2019 season, look at Roa’s schedule below. He is available to race on any night not already on his racing calendar. Contact him at the phone number and E-mail address in this release. The BR Performance team would also like to thank the sponsors that make the regular season possible. HD Industries, Burris Racing, “Biker” Bruce Fisher, Molecule, K-1 Race Gear, Norma Leonard, Lee Leonard, NGK Spark Plugs, Baldwin Filters, Driven Racing Oil and Coffman Racing Graphics. If you or your company would like to join BR Performance’s team for a championship run in 2019, please call 714-932-7994. The first 2019 ELITE Club Division timed sessions are in the books and Robert Schönau (#70 Mishumotors Chevrolet SS) was the most consistent driver at the famous Circuit Ricardo Tormo in Valencia, Spain. The German driver grabbed his second career win in the NASCAR Whelen Euro Series regularity-based division. 2017 ELITE Club Division Champion Andreas Kuchelbacher (#64 Speedhouse 64 Chevrolet SS) was second in his first outing with the new Speedhouse 64 at the wheel of the #64 Chevy SS. The Austrian set the goal for himself to win the championship again in 2019 and was aiming for a place on the podium at Circuit Ricardo Tormo. Giovanni Trione (#31 CAAL Racing Chevrolet SS) was third. The Italian brought his streak of podium finishes up to three consecutive events and bested Alessio Bacci (#9 Racers Motorsport Ford Mustang) by setting a closer time to the benchmark in Session 3. Alain Mosqueron (#99 Dexwet-Df1 Racing Chevrolet Camaro), completed the top-5. Racing Engineering team owner Alfonso de Orleans-Borbon (#48 Racing Engineering) ended up sixth ahead of Thomas Krasonis (#1 Alex Caffi Motorsport Ford Mustang), Nadine Vollekier (#10 Racing-Total Chevrolet Camaro), Alessandro Brigatti (#19 Racers Motorsport Ford Mustang) and Callum Cripps (#27 Alex Caffi Motorsport Ford Mustang), who rounded out the top-10. The ELITE Club Division will hit the track again in Italy at the challenging Autodromo di Franciacorta on May 9th 2019 with Schönau leading the points standings by 21 markers on Kuchelbacher. "Through all the ups and downs of my young career in racing, I've tried to always keep my mindset positive and tell myself it can be done,” Braden said. “And I think that's gotten me through the lows, and I've always come out better on the other side. Every time I've been kicked way down, for some reason, a huge opportunity has presented itself very shortly thereafter. It's been quite a rollercoaster, but I've loved it all." Roush Yates Engines announced today a multi-year partnership extension agreement with CNC Software, Inc. for Mastercam to continue as the official CAD/CAM software of Roush Yates Engines and Roush Yates Manufacturing Solutions. After starting the partnership in 2015, this extension will partner these two innovative companies together until 2025. Mastercam, an industry leader for more than 35 years in CAD/CAM software, delivers CNC programing solutions in 75 countries around the world. Their strategy of combining superior software programming with continuous development and support makes their product the best in the industry. This is why Roush Yates Engines selected Mastercam as their CAD/CAM software to program more than 50 CNC machines in a newly renovated, climate controlled, 88,000 square foot facility in Mooresville, North Carolina. Mastercam software is invaluable to the production of more than 40% of the engine components that power the Ford NASCAR FR9 EFI and IMSA Ford EcoBoost race engines. Thousands of components are milled and drilled with the use of Mastercam software programming. It is critical that these parts meet the tightest of tolerances to support our engine designs and development process. To deliver the best on the race track and compete globally, you need to partner with the best. That’s why Roush Yates Engines and Roush Yates Manufacturing Solutions partner with Mastercam. Barrett-Jackson, The World’s Greatest Collector Car Auctions, will offer an enviable selection of Japanese performance cars during the 17th Annual Palm Beach Auction, April 11-13, all at No Reserve. Highlighting this import segment of the collector car market at Palm Beach will be a 2012 Lexus LFA (Lot #742), one of only 500 built, and one of only 170 of these naturally aspirated 4.8-liter V10 juggernauts allocated to the U.S. market. 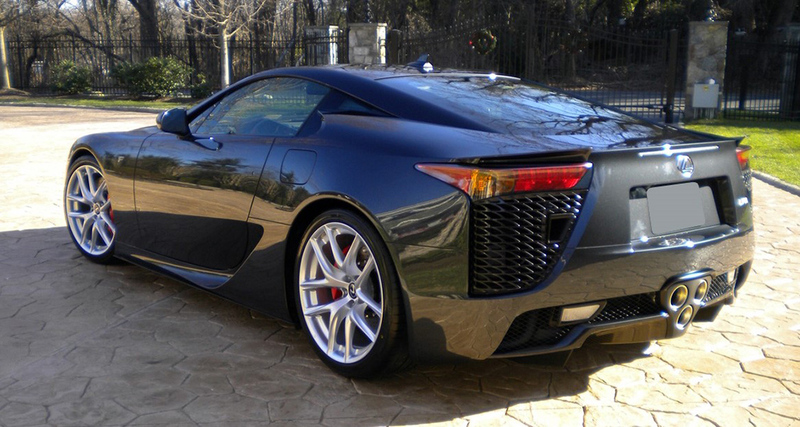 A “thoroughbred supercar” ready to sell during the Palm Beach Auction at No Reserve: 2012 Lexus LFA (Lot #742). Two Toyota Supras are among the most anticipated exports that will cross the block during this year’s Palm Beach Auction. The first, a 1993 Toyota Supra Liftback (Lot #353) is powered by a twin-turbo 3.6-liter inline-6 engine mated to a 6-speed manual transmission originally sold in Japan. The second is a 1994 Toyota Supra Turbo Liftback (Lot #680.1), which is a two-owner, all-original MK.IV twin-turbo version. It’s powered by a 3.0-liter 6-cylinder engine backed by a 4-speed automatic transmission and only has 45,127 original miles. Other 1990s Japanese powerhouses crossing the block include this 1996 Mitsubishi 3000GT VR4 Spyder Convertible (Lot #336). Powered by a twin-turbocharged 3.0-liter V6 engine mated to a 6-speed manual transmission, it is one of only 1,034 3000GT VR4 Spyders produced, and one of only 84 manufactured in 1996. Also on the Palm Beach docket is a 1992 Mazda RX7 Custom Coupe (Lot #52). A right-hand-drive RX7 Type R, this Mazda was imported into the U.S. from Japan with just over 5,000 actual miles. Rounding out the ʼ90s Japanese lineup is a 1996 Acura NSX (Lot #650) powered by a 3.0-liter V6 engine mated to a 5-speed manual transmission. 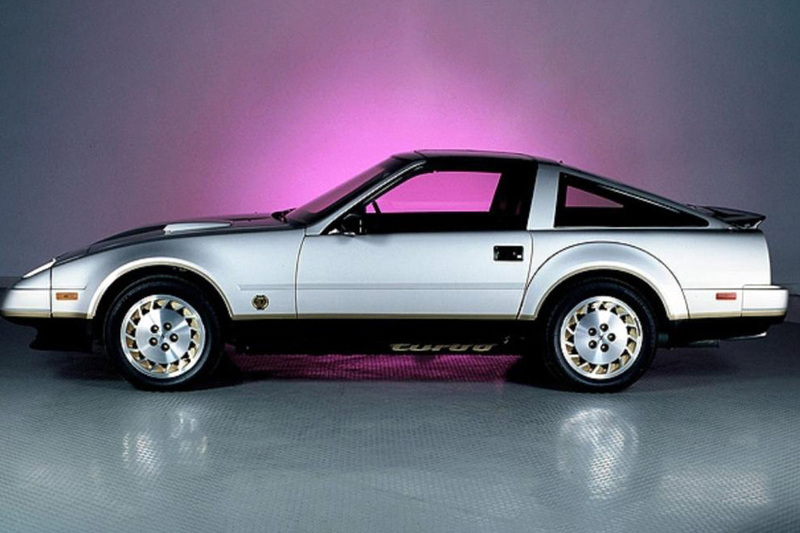 This unrestored 1984 Datsun 300ZX (Lot #82) Anniversary Edition is one of only 5,000 produced. Original and unrestored Datsuns will also make an appearance in Palm Beach, including this 1984 Datsun 300ZX Turbo Anniversary Edition (Lot #82). One of 5,000 produced, this California car has its original books and window sticker, and is powered by a 3.0-liter 6-cylinder engine backed by a 5-speed manual transmission. Also on the docket is this unrestored 1975 Datsun 280Z (Lot #335), which is powered by a 2.8-liter 6-cylinder engine and has only 20,000 actual miles since new. Click here to view the complete 2019 Palm Beach Auction docket. For more information on becoming a bidder for the 2019 Palm Beach Auction, follow the link to www.Barrett-Jackson.com/bid. That sentiment carried the day for ProX Racing Parts and Pro Circuit Racing Saturday when Monster Energy AMA Supercross visited Nissan Stadium for the inaugural Nashville Supercross. After his teammate and Eastern Regional 250SX Class points leader Austin Forkner went down and was sidleined with an injury he sustained in practice earlier in the day, it was up to Martin Davalos to shoulder the weight for Pro Circuit and to minimize the damage to his teammate’s point lead. Davalos, a savy 32-year-old veteran, was up to the challenge and rode a smart, clean race to collect his fifth-career 250SX Class victory. The rider of the ProX-sponsored No. 73 Kawasaki KX250, who also picked up his first heat race win of the year earlier in the day, hung with the top five out of the starting gate and when the top two got together, taking themselves out of contention, Davalos took over the point and never looked back. The Tallahasee, Fla., resident and native Ecudorian led all 19 laps and took home top honors with a little more than three seconds to spare. Davalos is currently fourth in points after picking up one spot in the standings following the win. “It has been a long road to get back here with my neck and knee injuries last year,” commented Davalos, who spent most of 2018 recovering from injuries suffered at a trio of races (Anaheim, Atlanta and Saint Louis). While Davalos was confident in his riding and his ability to close out his fifth-career victory, he still made his mechanic, Kyle Defoe, a little nervous in the waning moments after rolling his way through the demanding whoop section before taking the checkered flag. Unfortunately, much of the day’s conversation centered around Forkner, who went down earlier in the afternoon after losing the handle on his machine during the first 250SX Class timed practice. As of press time, the extent of Forkner’s injuries had yet to be revealed, but the rider of the No. 24 Kawasaki was on crutches and in the pits when the starting gate dropped for the main event. While the Richards, Mo., native was out for the night, he still holds a three-point advantage with two races left to determine a champion.